Scott E. Hamner advises clients regarding the creation of effective and tax-efficient employee benefits, cash compensation and deferred compensation that will attract, retain and motivate employees to best accomplish the company’s goals. He also assists clients with IRS and DOL plan audits, advises regarding compensation and benefit law compliance, and assists clients in correcting retirement plan administrative/operational errors. Mr. Hamner has more than 35 years of experience in tax and employee benefits matters. Prior to joining the Firm, he was a principal in an employee benefits consulting company where he advised on all aspects of employee benefits law and was employed by several businesses in the glass industry. At Eastman & Smith his practice concentrates on employee benefits including health care, retirement, deferred compensation, HIPAA, designing ESOPs and managing the ESOP redemption liability, and executive compensation. Mr. Hamner often has been quoted in the press regarding employee benefits matters. 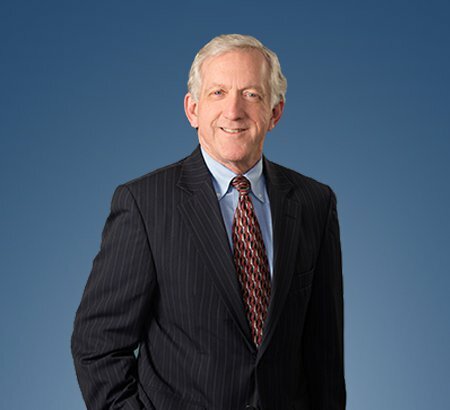 Additionally, he has spoken on the topics of structuring qualified retirement plans to best attract and retain employees, using non-qualified deferred compensation in executive compensation, ESOPs and meeting the challenge of the Affordable Care Act, including managing exposure to the shared responsibility tax. When not practicing law or volunteering, Mr. Hamner enjoys playing with his grandkids. Successfully led team through appeal, arbitration and negotiation of final settlement of a withdrawal liability with the Central States Pension Fund. Negotiated favorable settlement with DOL concerning prevailing wage contributions/benefits. Led a regional human resource and benefits consulting firm’s technical resource practice group managing other attorneys and paralegals. Designed a qualified retirement plan for a state government unit exempt from ERISA focused on delivering additional retirement benefits to the officer group only. deferred payouts subject to forfeiture for early employment termination to encourage retention.